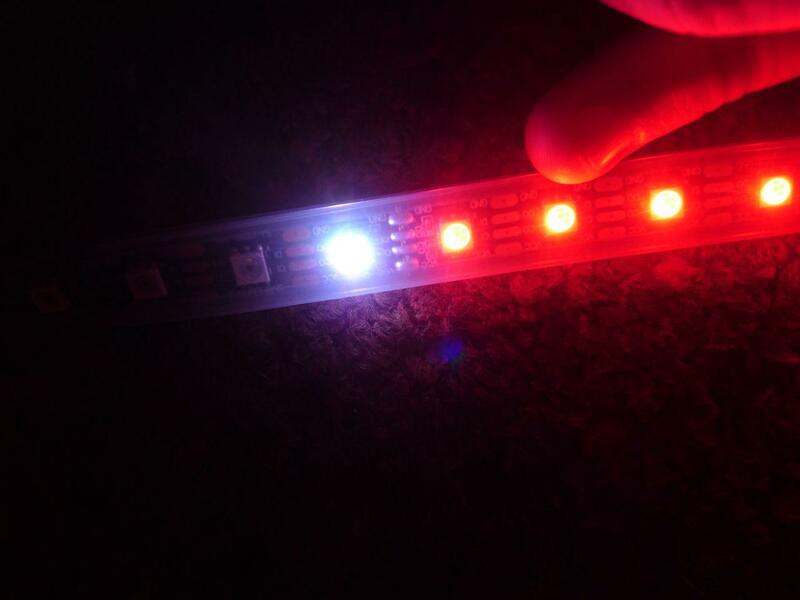 I am supplying the LEDs with power from a 10A 5V adaptor that appears to be working fine. 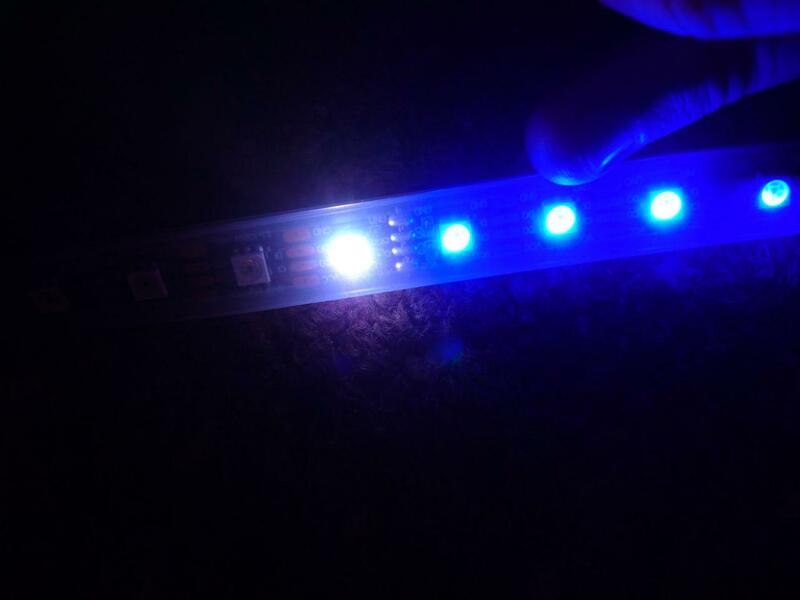 I have also checked the voltage at the end of the strip between the ground and positive wires, and there is a 5V DC difference so the power is being applied correctly throughout the entire strip. The first set of LEDs light up successfully so I am certain that the clock and data pins are plugged in correctly. Is there anything you can suggest me doing to attempt to solve my problem? Or will the strip have to be replaced in full? Go ahead and unroll the LED strip so we can get access to the apparently problematic pixel. Then try pressing down on the last pixel lit and the first pixel not lit and see if that changes anything. And to double check your connections - can you post a photo showing how you have everything connected. It's not clear enough in the video. For an overview of the wiring see the following image. For the purposes of taking these images I have temporarily unplugged the power to the strip (as my camera can't deal with fast changes in lighting) - when testing the strip this is obviously plugged in. 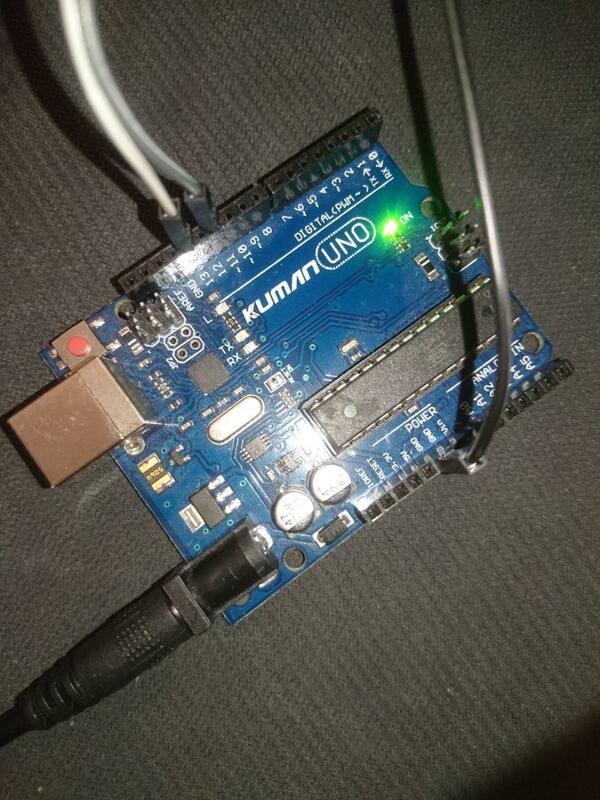 The Arduino Uno running the default test sketch "strandtest" with the code edited for this particular strip as shown in the original post (all code omitted is as in the default state). 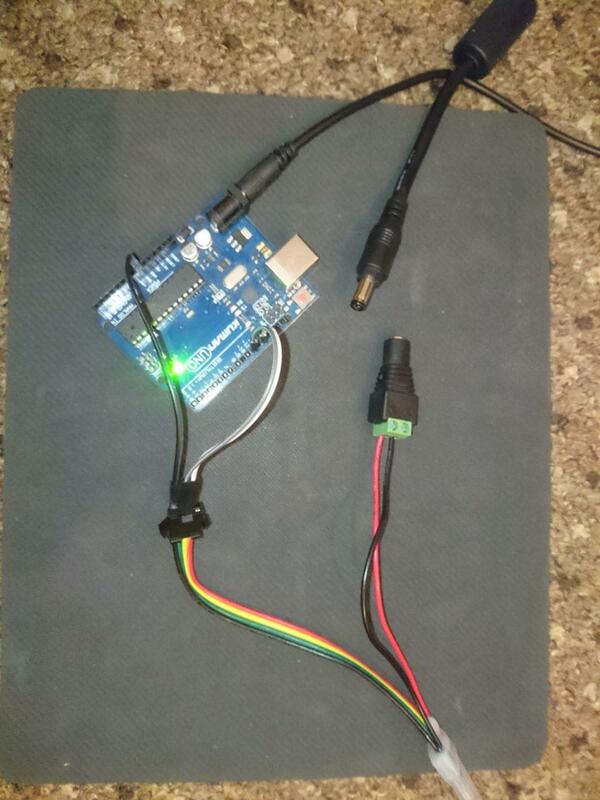 The Arduino is wired as follows with its own 5V 2A power supply. The strip is powered by its own 5V 10A adaptor and is connected to the strip via a DC barrel jack to terminal convertor. I also have verified the voltage is being applied into the strip correctly with my multimeter by measuring between +5V and GND terminals before wiring the strip up. 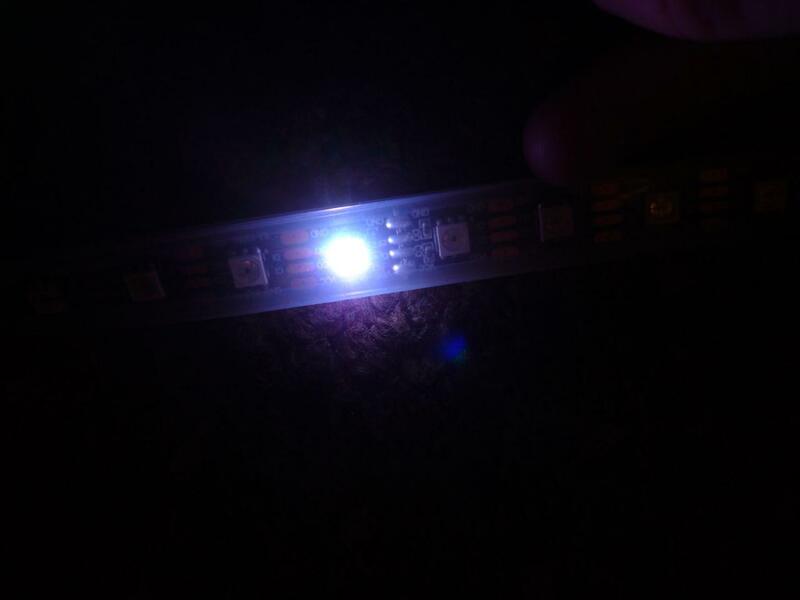 I also know the strip +5V and GND rails have power as I have measured the potential difference at the opposite end of the strip to where power is supplied. 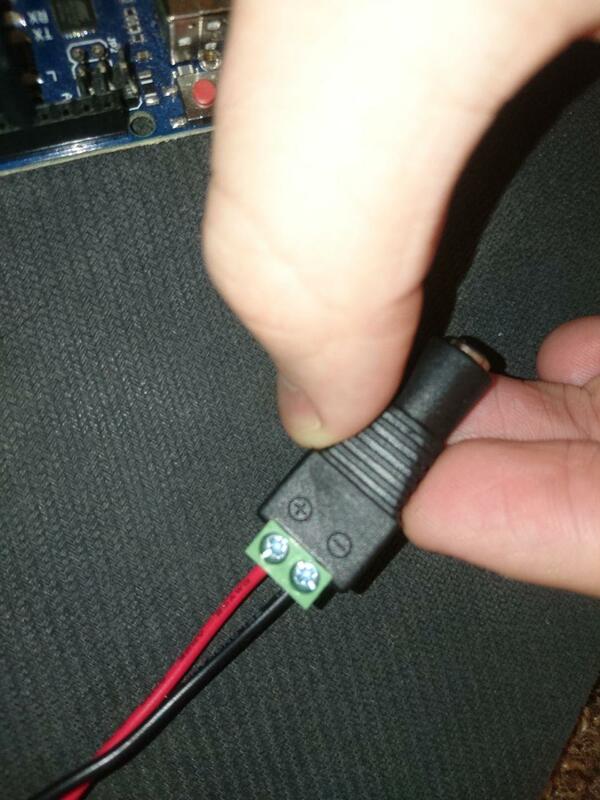 I have attempted to press down the LED that is stuck on and it is warm to the touch after a few seconds (suggesting a short?) and nothing changes. Other LEDs while running the sketch do not feel as warm. I have tried pressing down the next LED that doesn't light up and it also doesn't change anything. 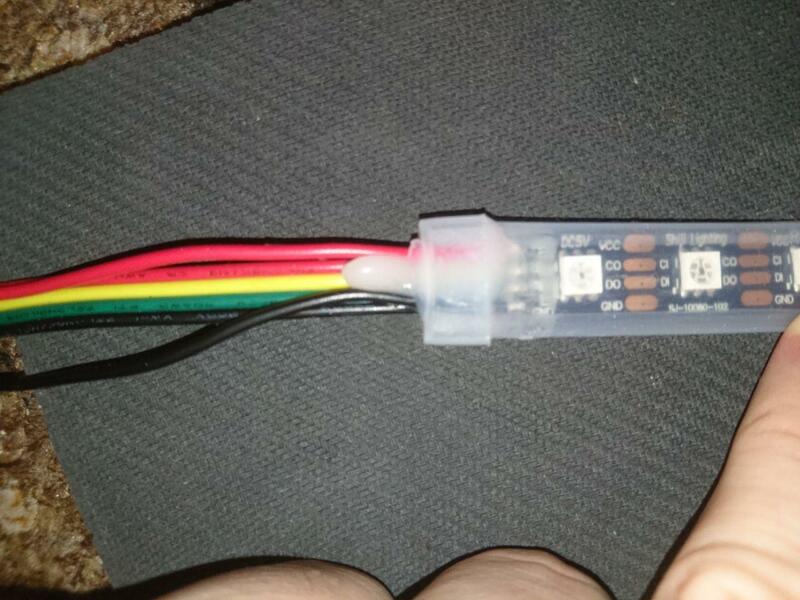 I also tried flexing the cable slightly at the contacts for the Data and Clock connections between the LEDs and this also doesn't change anything just in case they're not connected properly and this doesn't fix the issue either. Just to see if there's any difference in the strip behavior. 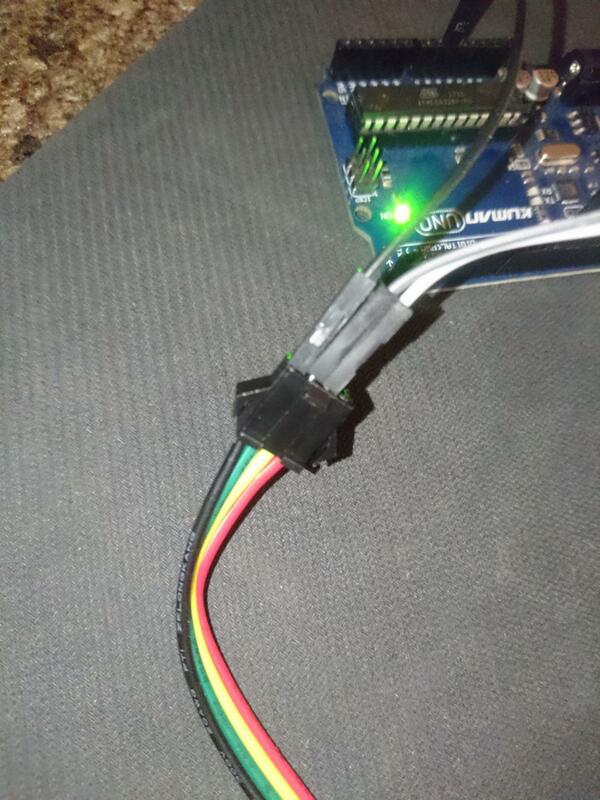 Software SPI also has the stuck LED present regardless of the pins used. I have also tried checking the Uno by using a spare Mega I have lying around and it is still present then too. Ok. Let's just replace it. It sounds like this was a gift. Do you have access to the original order information? Just the order number is all we need. Thanks for your help, yes it was a gift from my parents. They're currently looking for the order number for me, I'll reply to this post when they find it. Cool. That the info you need. We can replace the strip (PID 2239). Send an email to support@adafruit.com with a link to this thread and they can get you one.